MOMENCE, Ill. (WLS) -- A Kankakee County animal shelter said Wednesday they are in need of donations after someone allegedly took all of their pet food. 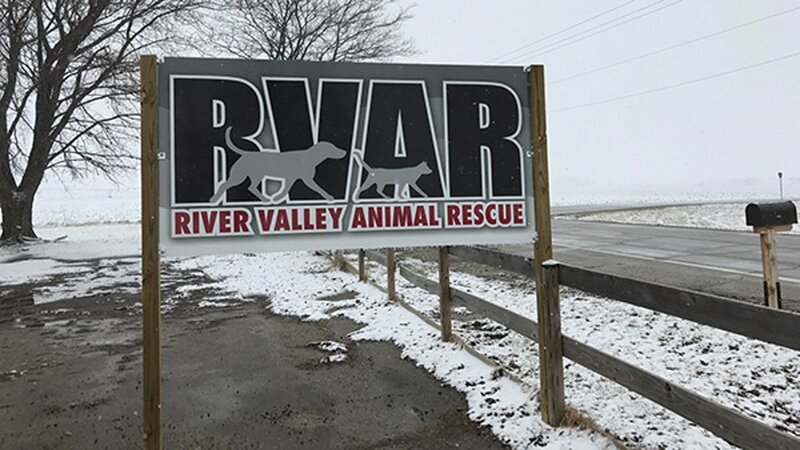 The River Valley Animal Rescue in Momence, Ill., posted on their Facebook page that when their volunteers came in Wednesday morning to feed their animals, they noticed that someone broke into their storage area and stole food and cat litter. The shelter said that they don't receive any government money and do not pay their staff and are in need of items to care for their animals. They were asking people to donate Purina wet and dry cat and dog food as well as scoopable cat litter. They were also asking for monetary donations so they can update their security system. According to the Facebook post, donations can be dropped off at Foster Chiropractic in Bourbonnais, Ill. The Kankakee County Sheriff's Office was investigating Wednesday.